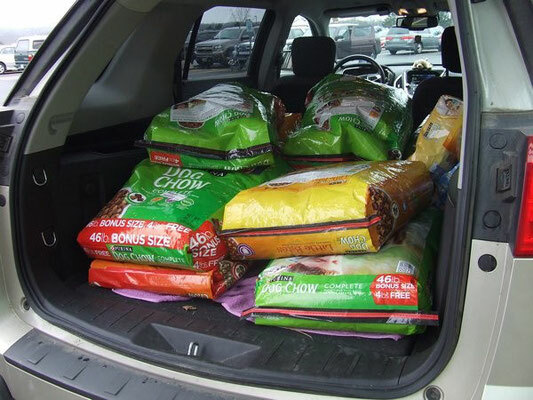 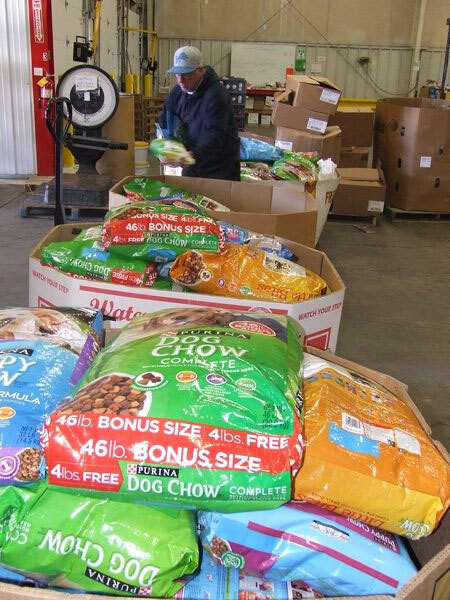 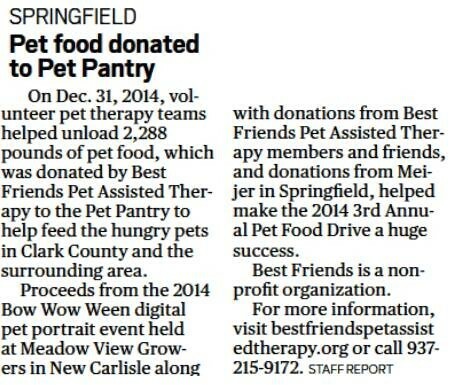 Another successful pet food drive. 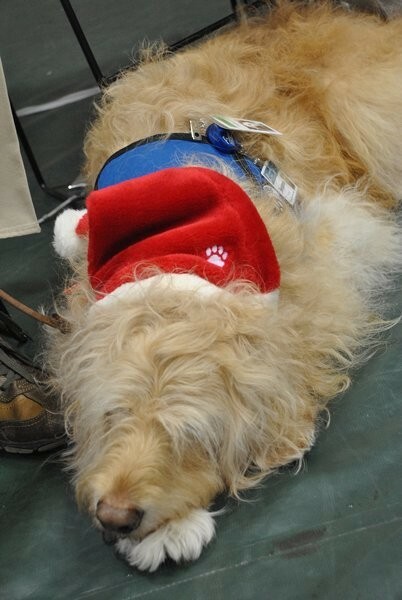 Best Friends Pet Assisted Therapy participated in the Rotary's 92nd Children with Disabilities Christmas Party on December 15, 2015. 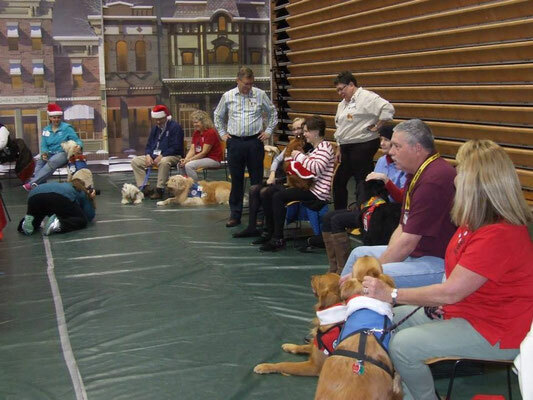 There were over 160 children from around the county at the party where each child got fed lunch, a visit with Santa who gave them a gift, crafts, bean bag throw game, dancing with the Ginger Bread Man, and visiting with our furry friends. 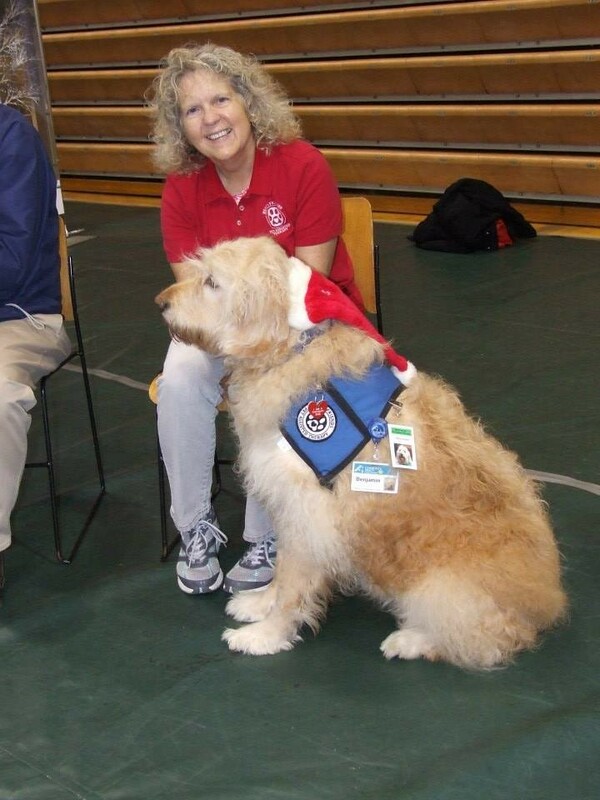 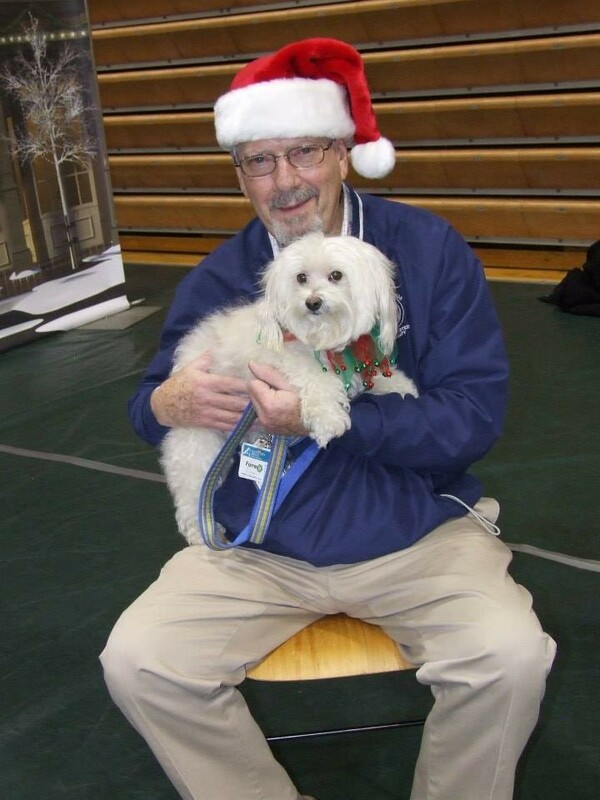 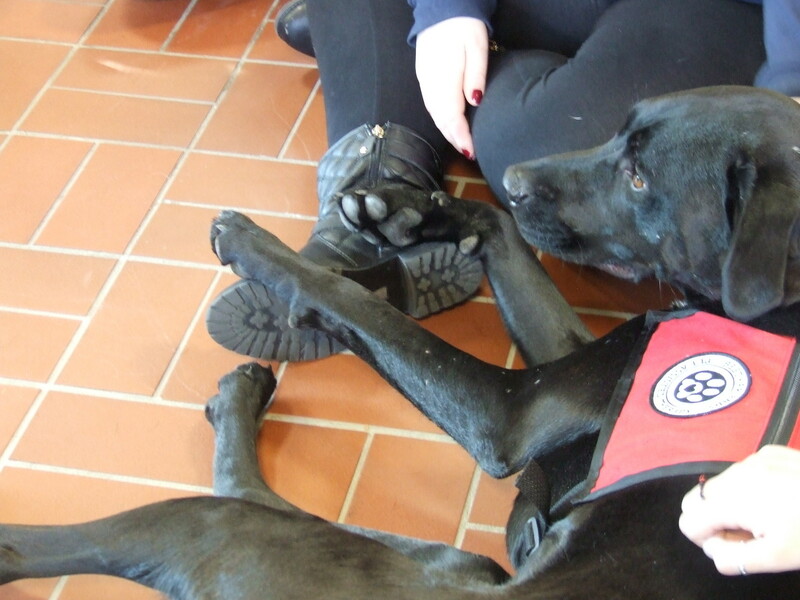 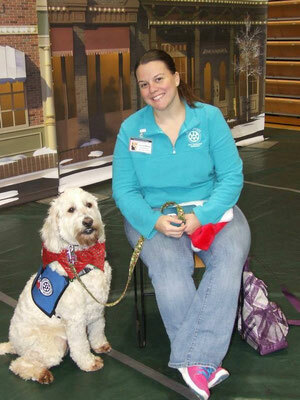 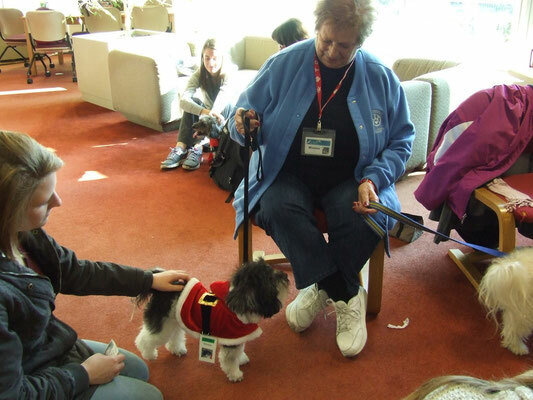 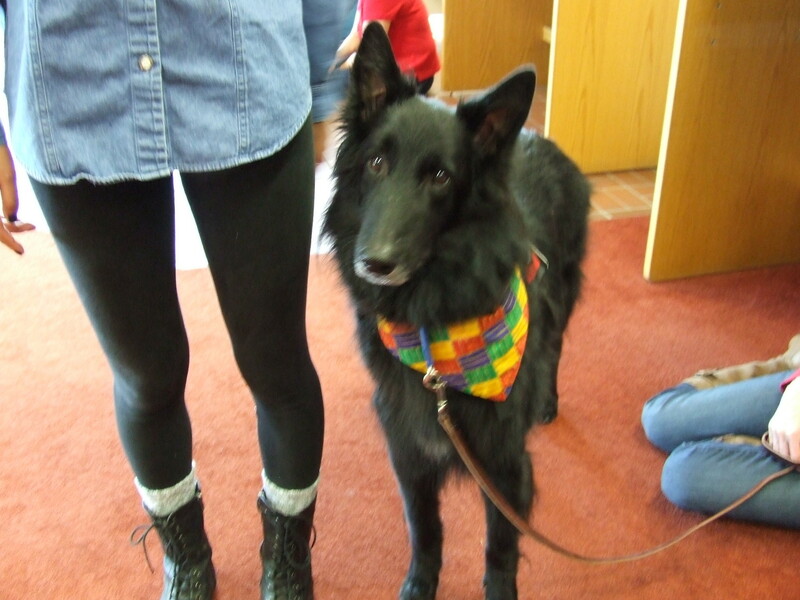 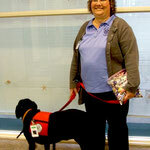 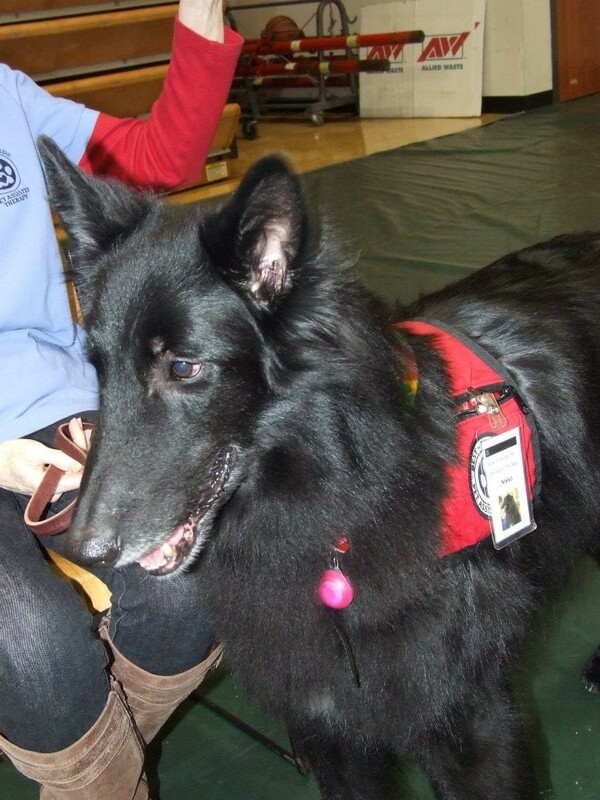 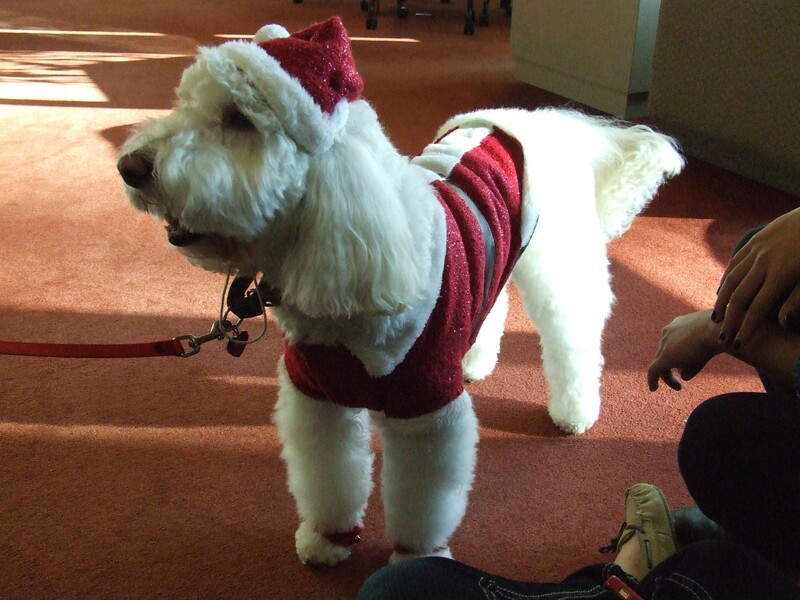 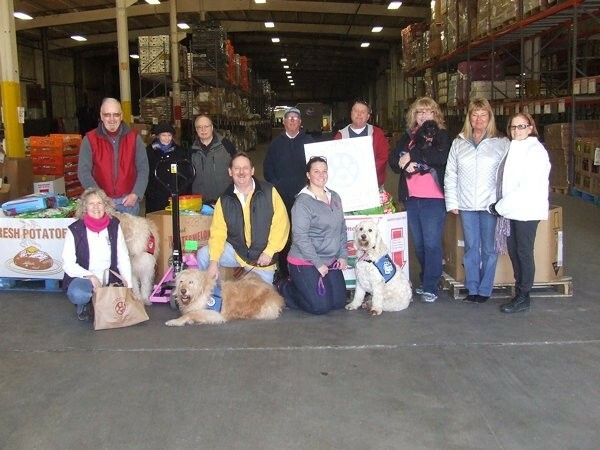 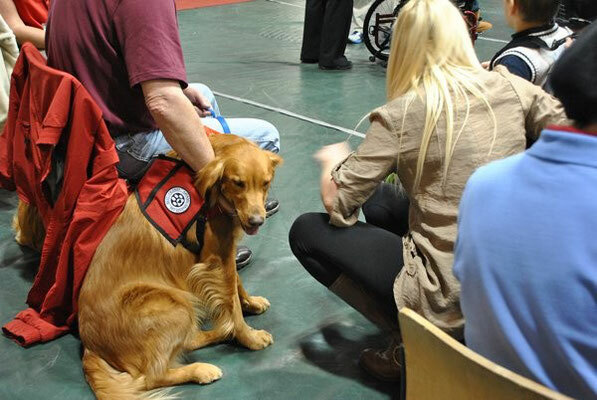 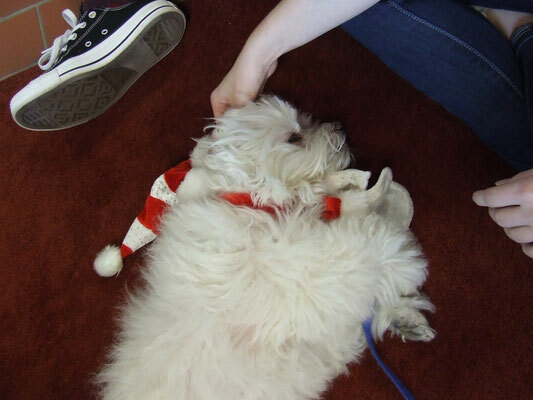 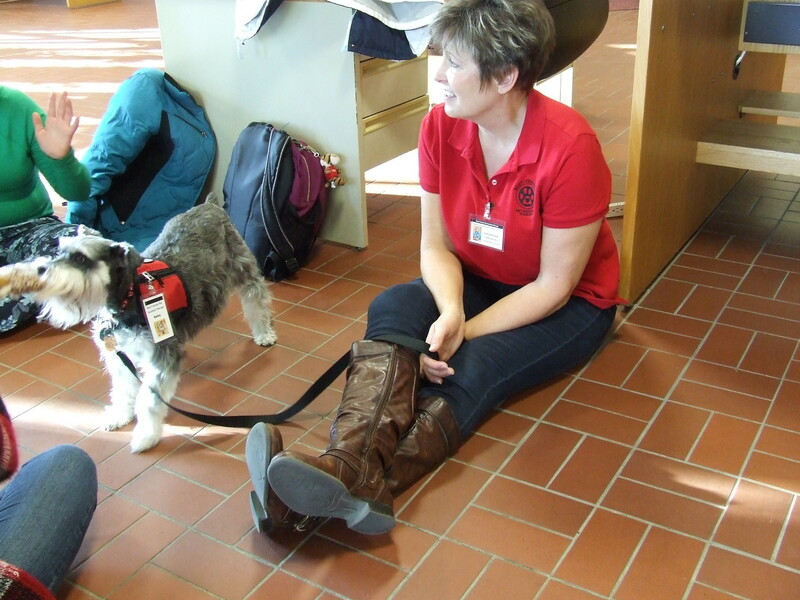 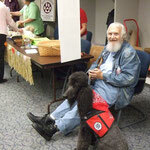 On December 12, 2015, Best Friends Pet Assisted Therapy teams go to Wittenberg University Thomas Library in Springfield, OH, to visit with the students before finals. 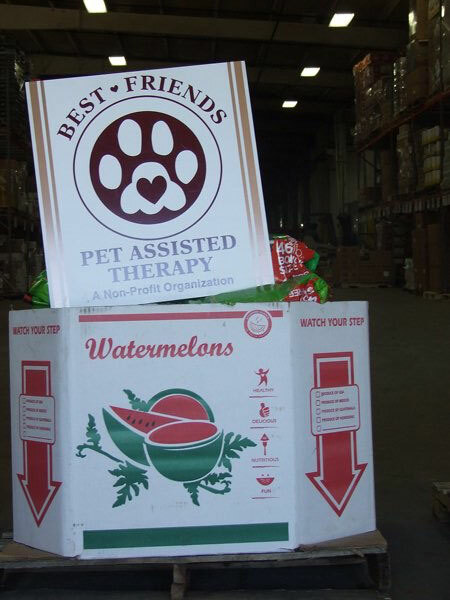 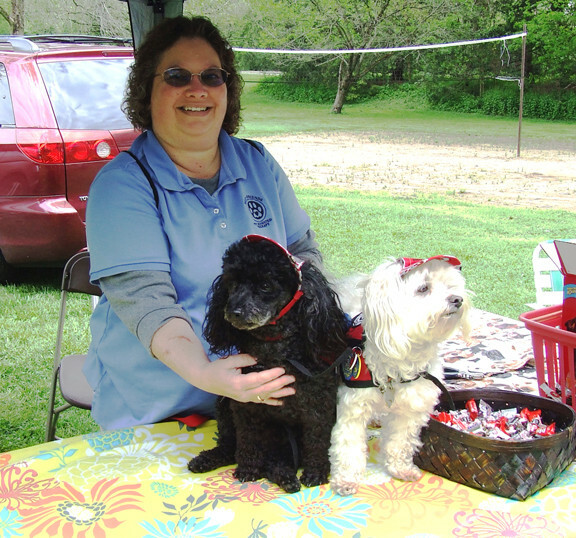 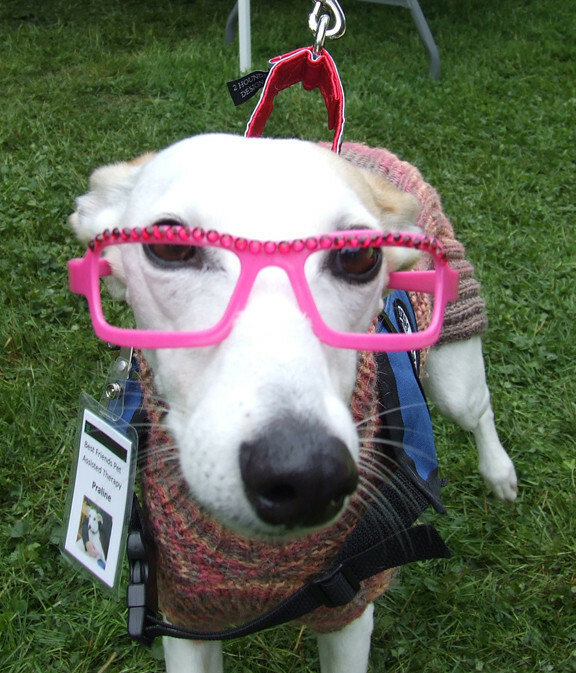 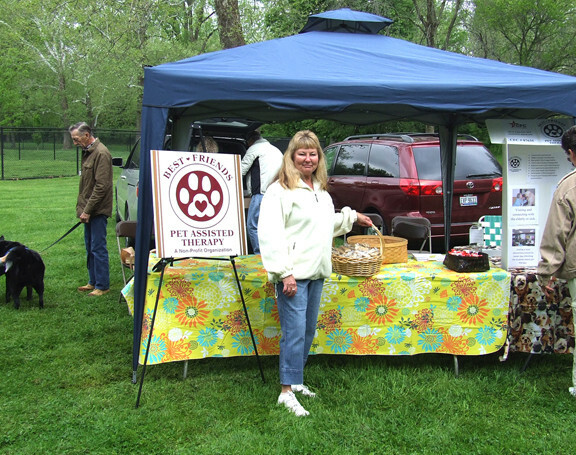 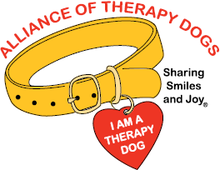 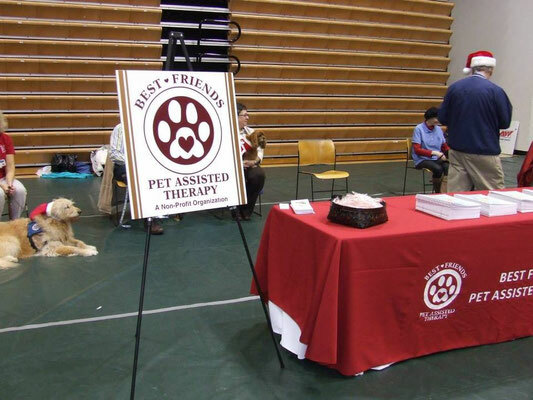 On May 17, 2014, Best Friends Pet Assisted Therapy attended Clark County Red Cross' Annual fundraiser, Woofstock, in Old Reid Park next to Wriggley Pet Park. 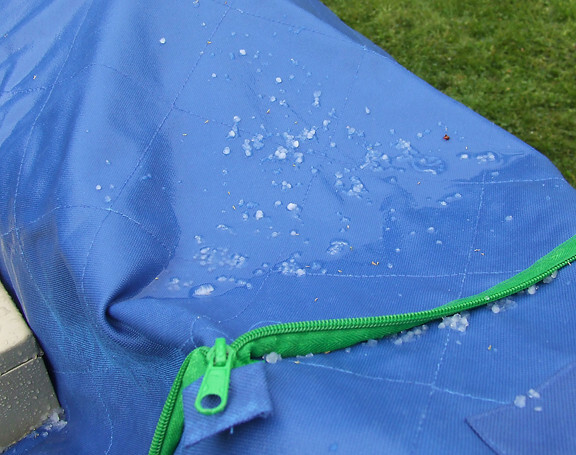 The weather was bearable, then turned chilly, then rainy, then rain with hail, then real cold, then windy, then sunny, then back to chilly again. 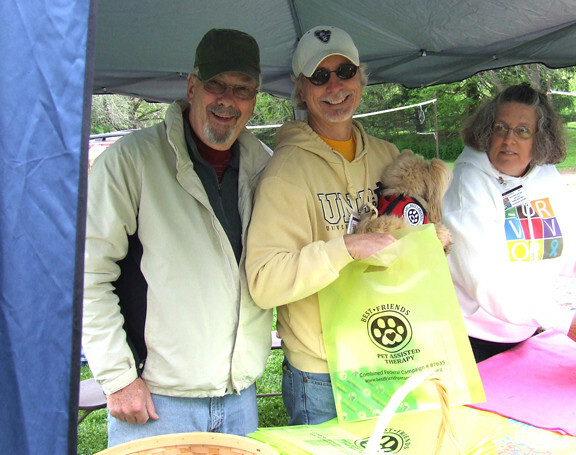 We handed out 152 bags to Woofstock attendees containing summer class flyers, Bow Wow Wash flyers, brochures, and jar openers. 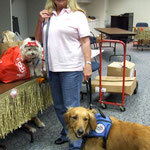 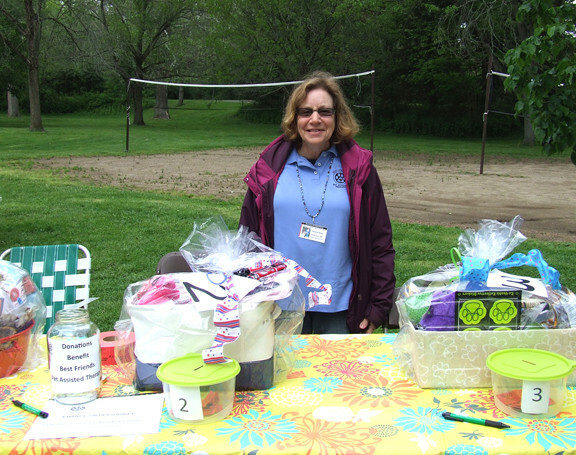 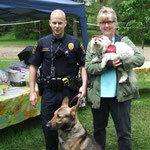 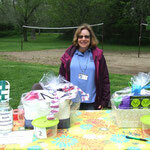 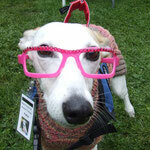 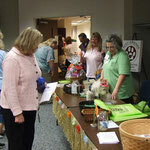 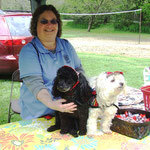 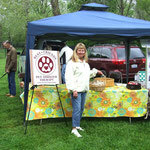 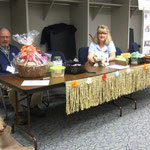 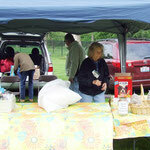 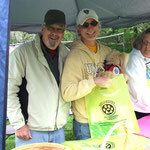 We made $179 on the raffle of the three donated baskets containing dog items. 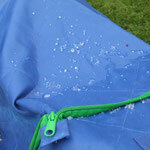 See evidence of the hail in the photo gallery below! 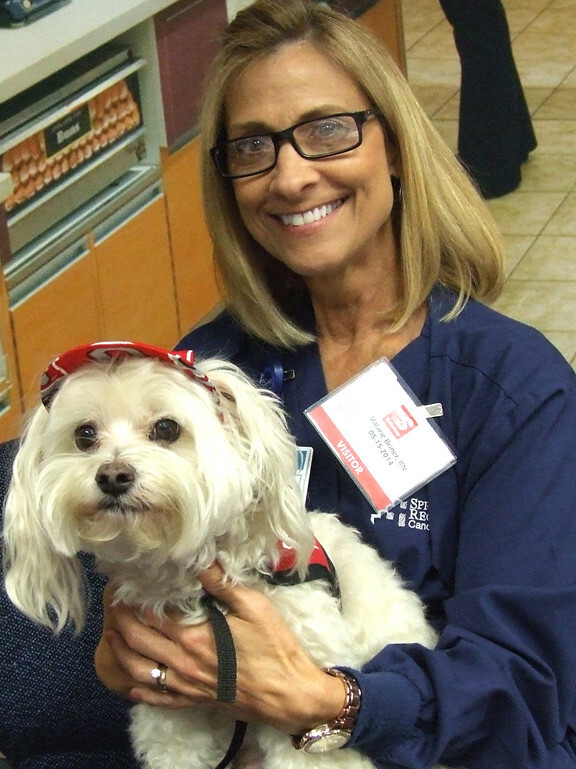 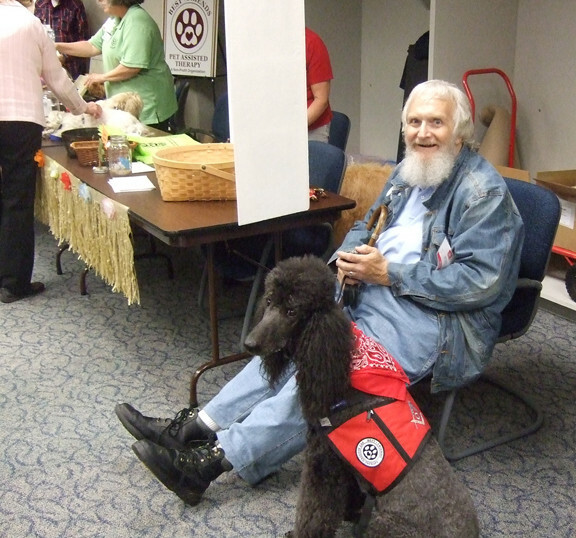 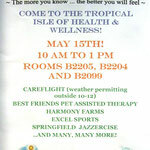 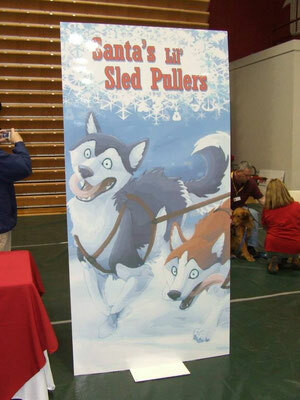 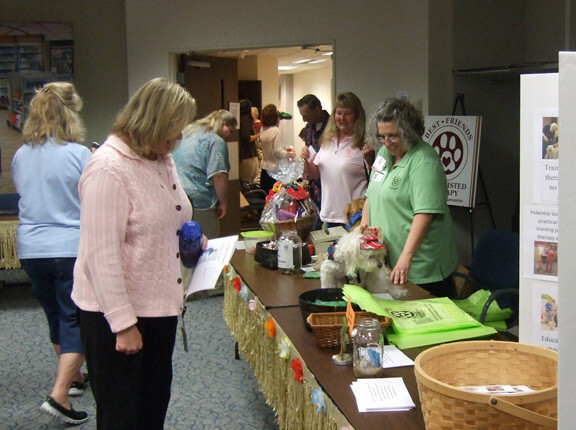 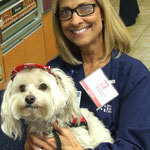 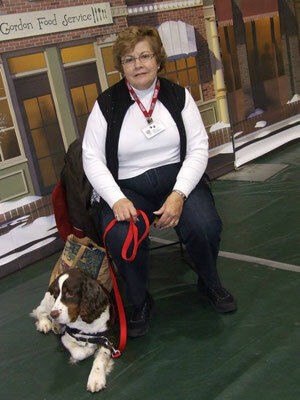 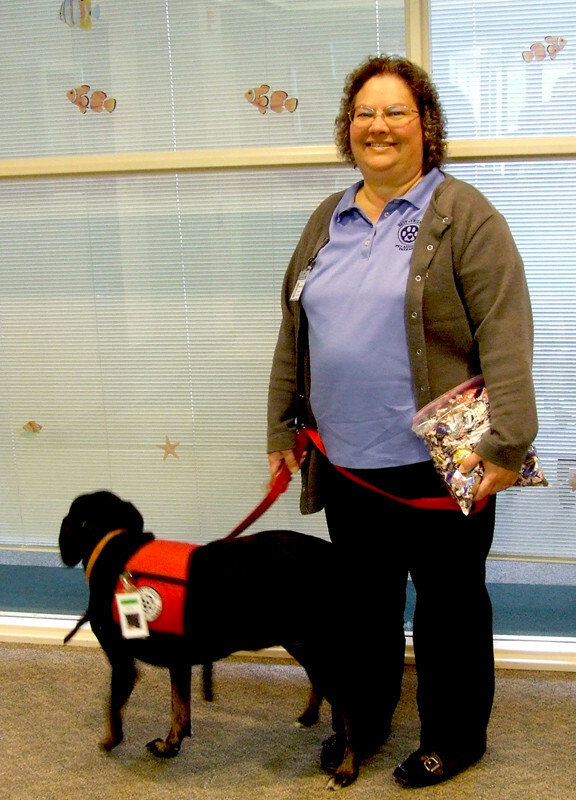 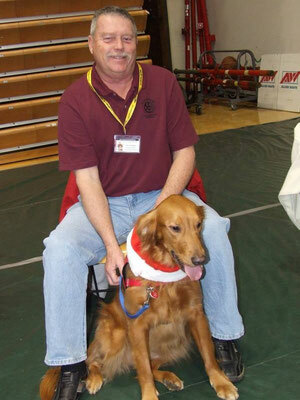 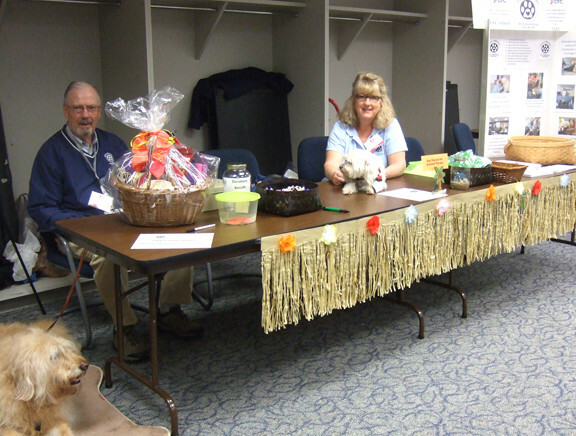 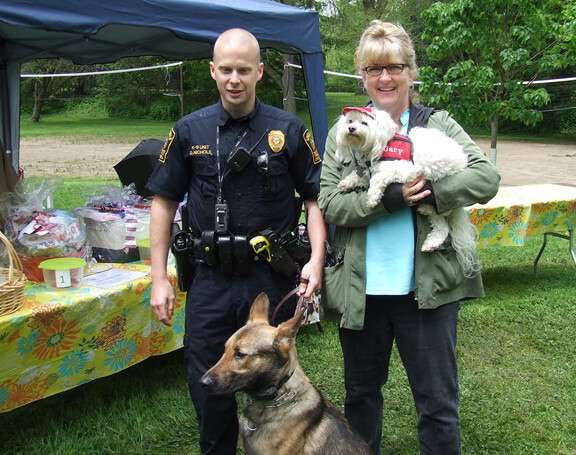 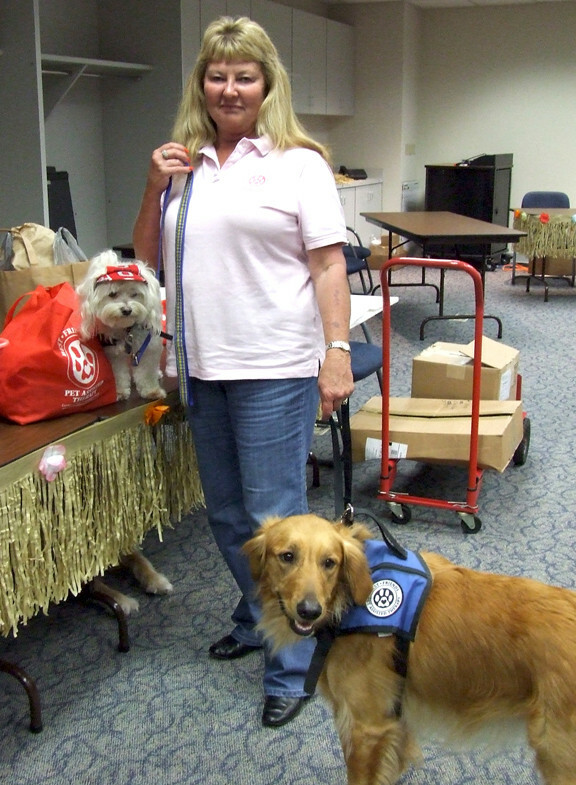 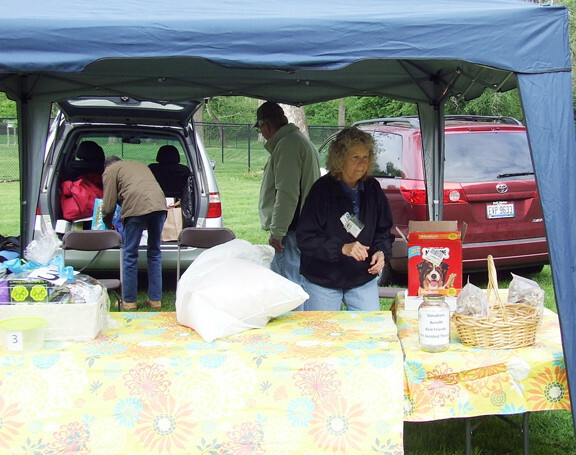 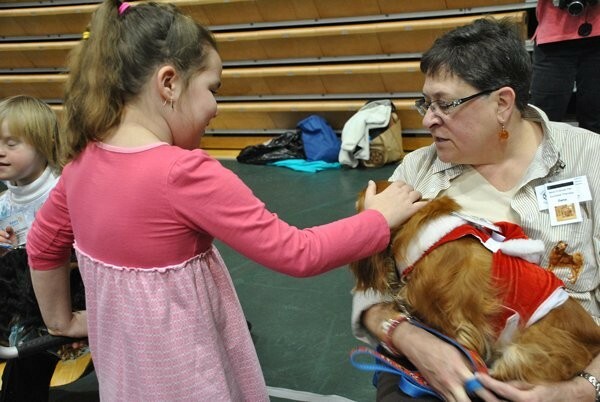 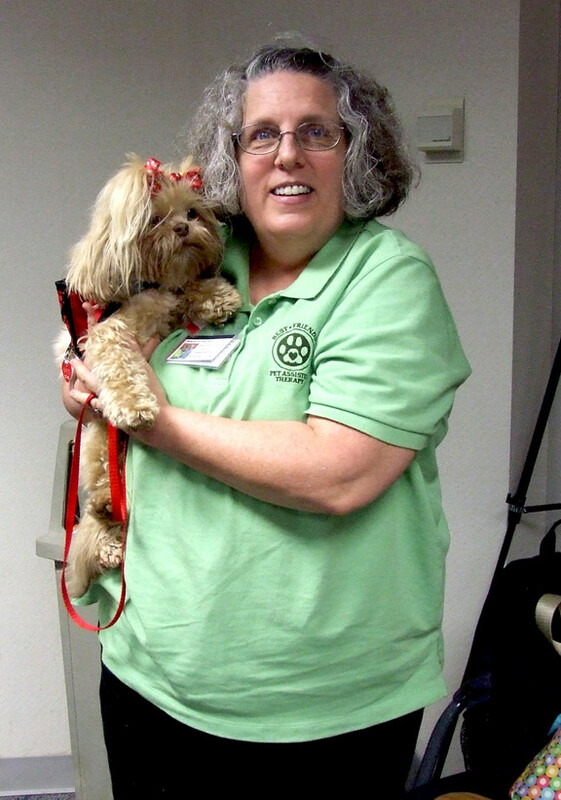 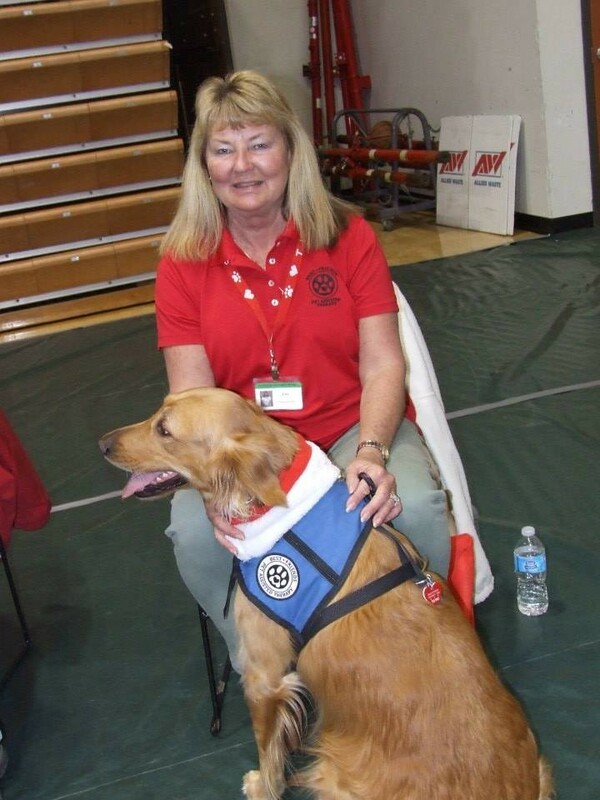 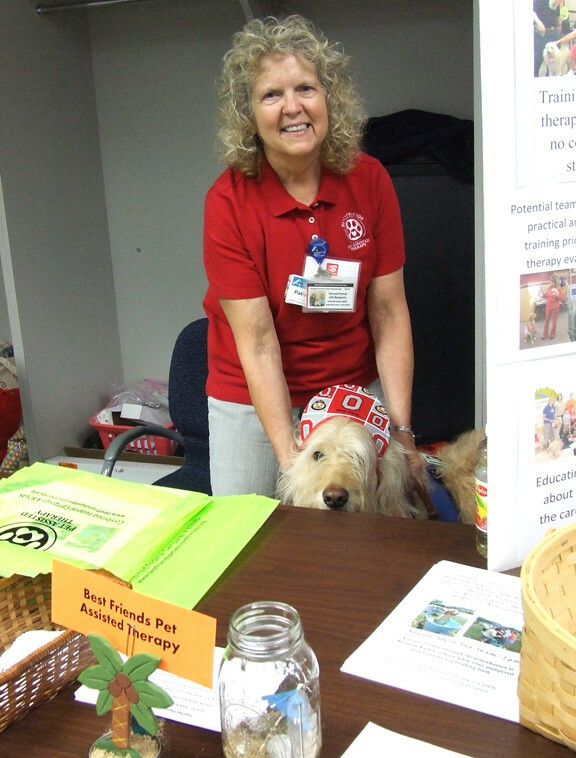 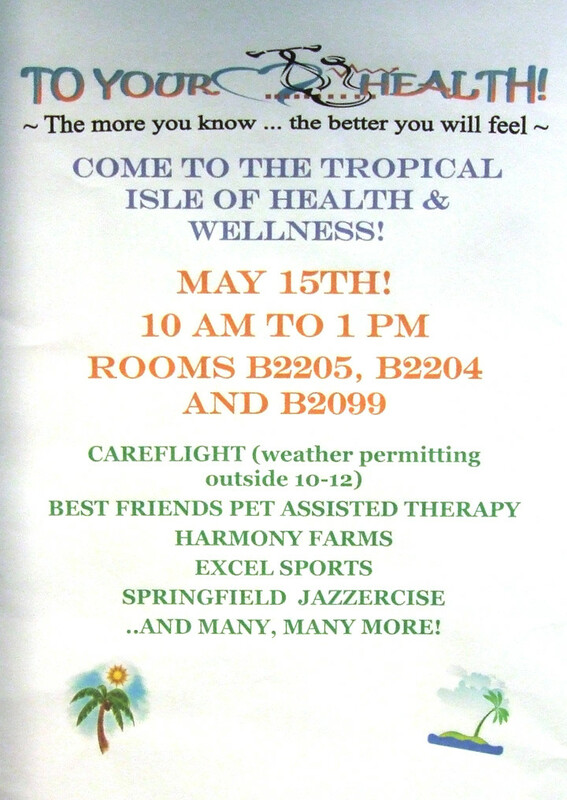 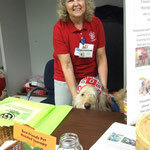 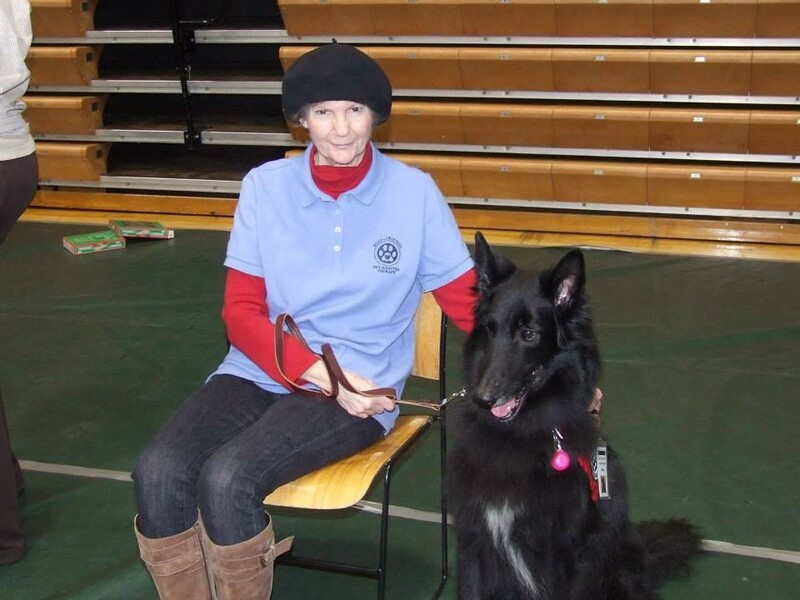 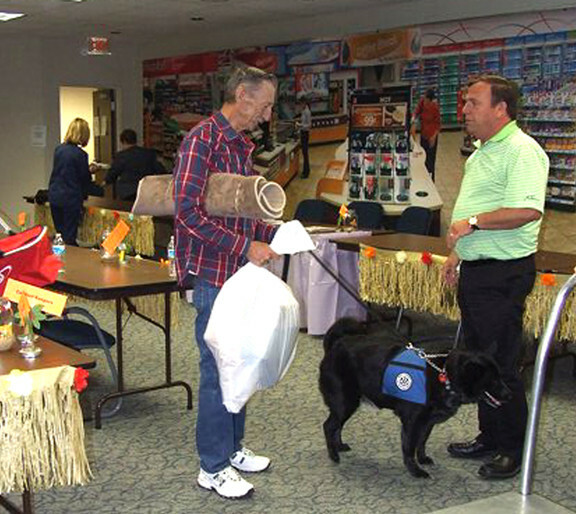 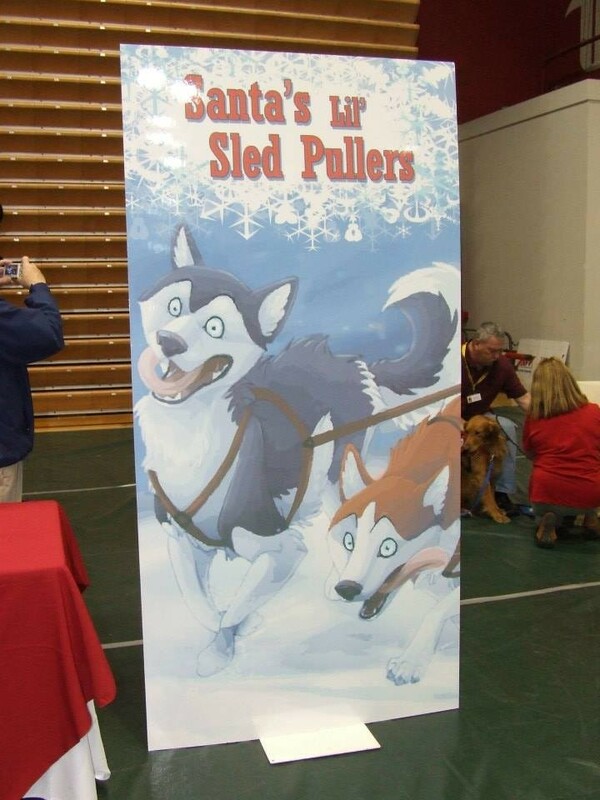 Best Friends Pet Assisted Therapy was invited to attend Speedway's 4th Annual Health Fair on May 15, 2014, held at Speedway's corporate headquarters, located in Enon, Ohio. 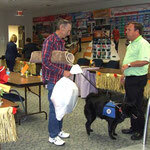 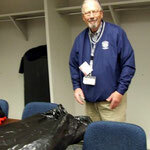 We visited with almost 300 employees.